Hallelujah! The first backyard BBQ of the season has been had. It was a perfect 70 degree day—the kind that makes me want to stay out all night and ignore any logical bedtime rationale. Me and my crew stayed out until the meltdown alarm started ringing. Which surprisingly, was well into the night. 9:30 to be exact. I realize this might not be very late to you, but by our standards, we partied hardy. I also realize that you might be asking yourself, "How did Judith and the three kids stay out that late and enjoy themselves through and through?" The answer my friend is a certain beverage of choice that kept our energy up and stamina strong. The invite said BYOB—so we brought Spa Water. Now call me out of the loop, but I hadn't heard of Spa Water until just a couple of weeks ago. 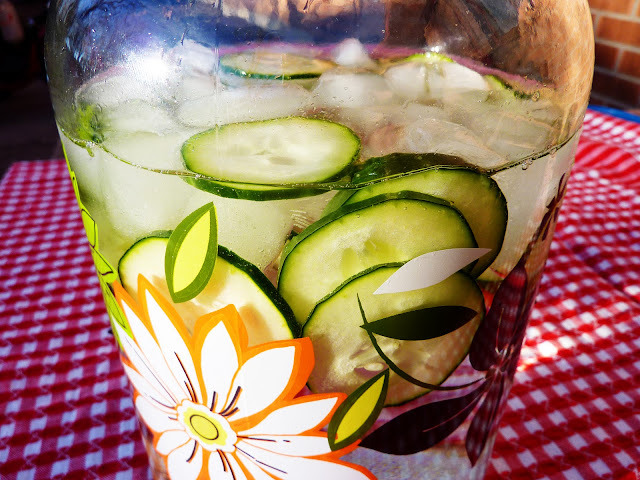 Never in my life had I seen such a thing as floating cucumber slices and melon balls in a water jug. I was shocked and amazed at how delicious and refreshing this simple addition could be. And yes, my ignorance is certainly a reflection of the last time I spent any time in a spa. Clearly I don't frequent such locales enough. Since I had never heard of it, perhaps neither have you. Please tell me I'm not the only hard-working woman not frequenting spas on a regular basis. I'd like to share this recipe with you today in an effort to share the goodwill and the party-hardy vibe. 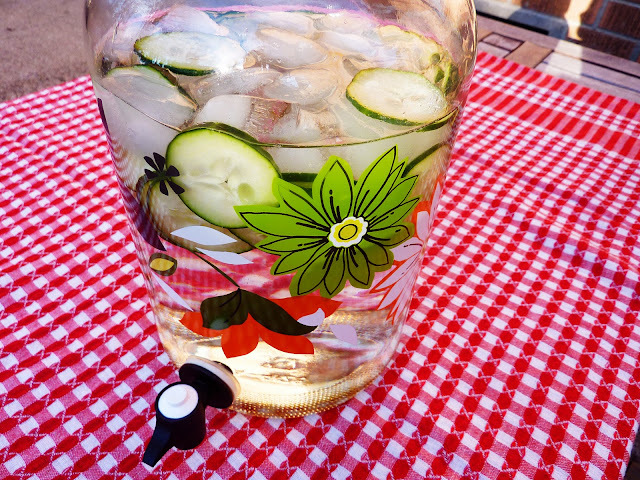 May you have many late night BBQs fueled by Spa Water. Any fun combination of fresh items listed here (and beyond). Be creative. And please, if you know of the ultimate spa water combo, be so kind as to share in the comments below. Even if you're not spending a day at the spa, why not feel like you are each time you take a sip of your water!